Hosting an international student as a homestay family can be a fun and rewarding experience. Share your home with a student from another country. You will learn new customs, create lifelong memories, help promote our beautiful city, and receive competitive remuneration. Columbia College is now interviewing new homestay families. Students range from 16 years and up, and come from all over the world. Approximately 85% of Columbia College students are from outside Canada, mainly from India, China, Kazakhstan, Indonesia, Vietnam, Singapore, Kenya, and Iran. Columbia College students also come from places such as Hong Kong, Russia, Malaysia, and Mexico. We have three semesters at the College, starting in January, May, and September. Students usually arrive at the end of the month prior to the month they will start classes. We allow students to arrive in homestay five days prior to school orientation to get acquainted with the area and their new family. We do not allow the students’ parents or family members to stay with the homestay family at any time, as this can cause difficulties in establishing a good relationship between the homestay family and the student. The homestay family is not required to pick their students up from the airport, as we outsource this service through an agency when requested. A few students will make their own way to your home. If you are asked by the student to pick them up at the airport, please do not, as this is against our policy. The object of homestay is to provide students with a home away from home. Therefore, homestay families must provide students with a single room furnished with a bed, bedding, dresser, adequate lighting, desk, chair, adequate heating, closet space or a dresser, Internet, laundry facilities, and a window that is large enough to escape in the event of a fire. Homestay families are to provide students with three meals a day: breakfast, lunch, and dinner. 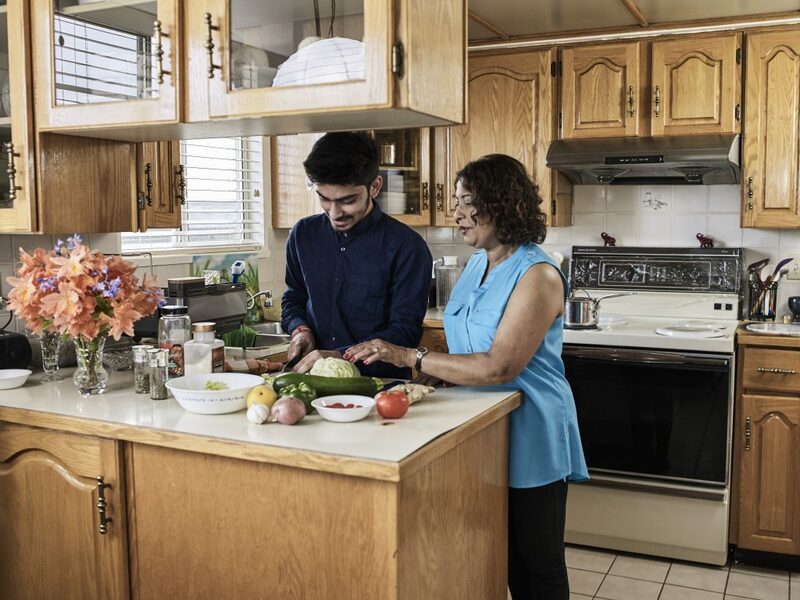 Homestay families must also provide Columbia College with a recent (within 5 years) Criminal Record Check for all family members living in the home who are older than 19. The first month of homestay is paid by Columbia College via cheque to the homestay family. Adult students or non-custodian students will then begin paying their homestay family directly on the first of every month after the first month of their stay. Adult or non-custodian students will usually stay one full semester in homestay. However, there is a two-month minimum stay if the student chooses to move. In this case, students must provide the homestay family with 30 days’ notice to move. The College will administer all homestay fees directly to the homestay family for ALL custodianship students. Custodianship students must remain in homestay until they turn 19 or obtain a private custodian that will take on the role. Our homestay families take on custodianship responsibilities after the first month of homestay. This allows for an adjustment period in your home. If a custodianship student wishes to leave homestay and live in an apartment, they must first obtain a private custodian, which can be difficult as the requirements are lengthy. For this reason, custodianship students rarely leave homestay. If you are interested in becoming a homestay family, apply today.